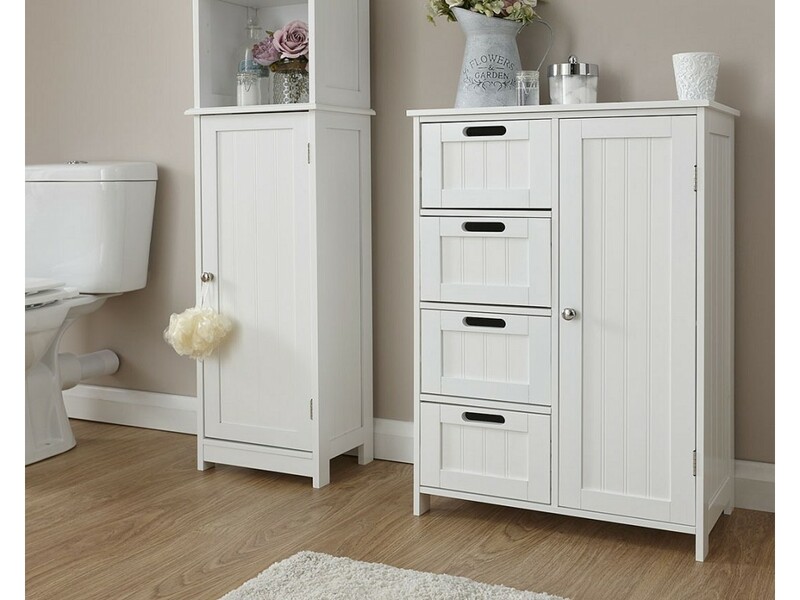 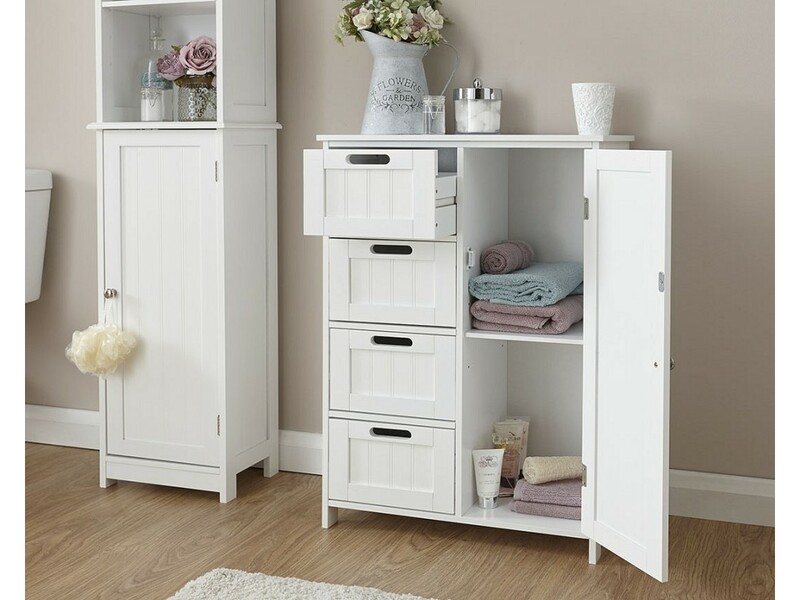 A simple and elegant design in the classic white colour, and with a long lasting durability and 4 deep drawers and 1 cupboard consisting of an internal shelf, this multi storage unit adds class to any bathroom, and is the best way to keep your bathroom tidy and clean. 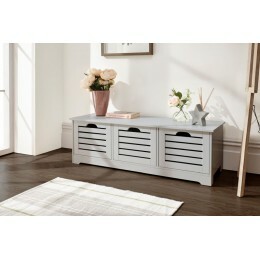 Crafted from firm MDF and particle board. 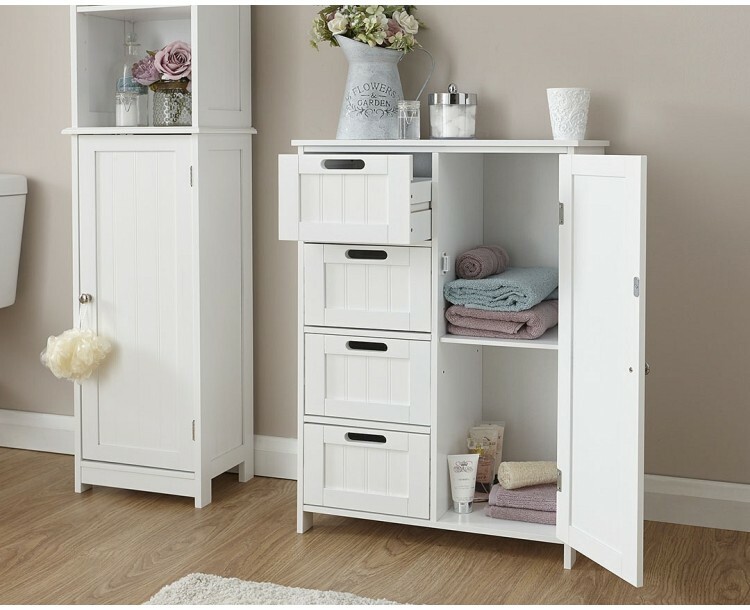 *Please note that the product sold will only be the 4 drawer/1 door unit shown in the image.